Got a date with the dolls pencilled in your diary? this dress is the perfect pick. 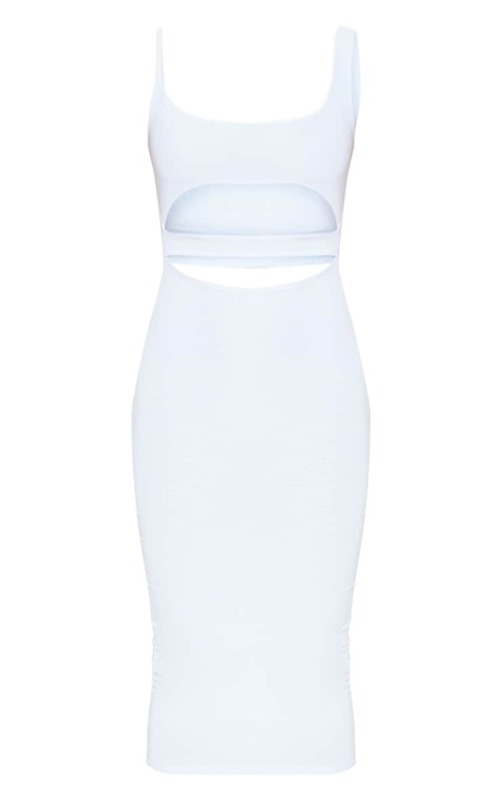 Featuring a white slinky material with cut-out detailing and a midi length. Style this with sky-high heels and gold accessories to complete the look.